This Healthy Homemade Nut Milk Recipe is Dairy Free, Carrageenan Free, and so easy to make. As a nutritionist, I recommend going dairy free… especially if you’re experiencing breakouts, bloat, and simply not feeling your best. I have done tons of research on why dairy is unhealthy for the human body and why nut milk, like almond and cashew is a MUCH better choice. If you’re still drinking milk and eating dairy products, I recommend switching to dairy free alternatives… here’s a highlight reel of why I recommend eliminating dairy and switching to plant-based dairy alternatives. Dairy contains estrogen from female cows. By digesting those hormones, our own bodies adjust hormonally. In fact dairy affects both our estrogen and testosterone levels, causing health issues and related skin issues like acne. Dairy is one of the WORST acne triggers in today’s diet, causing inflammation, redness, swelling and clogged pores. The natural purpose of milk is to feed a calf. In fact, it is used to grow a baby cow from 200 to 2000 pounds as quickly as possible. That’s great for a cow, but when you mix in all the hormones, proteins, and growth properties, it’s detrimental to your health and waistline. Cow’s milk is essentially sugar with water and has been shown to spike insulin levels. 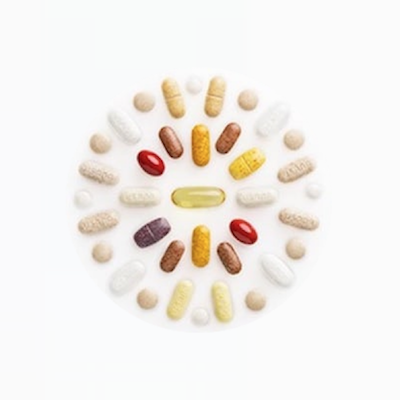 Some of the proteins are linked to Type 1 diabetes and many other health issues . Those spikes you get from eating a bag of candy or a piece of cake basically causes the same response when you ingest dairy. Nut milk is a fantastic alternative to dairy products, as it contains healthy fats that are appropriate for a human body. Unfortunately, most of the milk you find in the store are processed and full of unhealthy additives, like carrageenan and artificial sweeteners and flavorings. 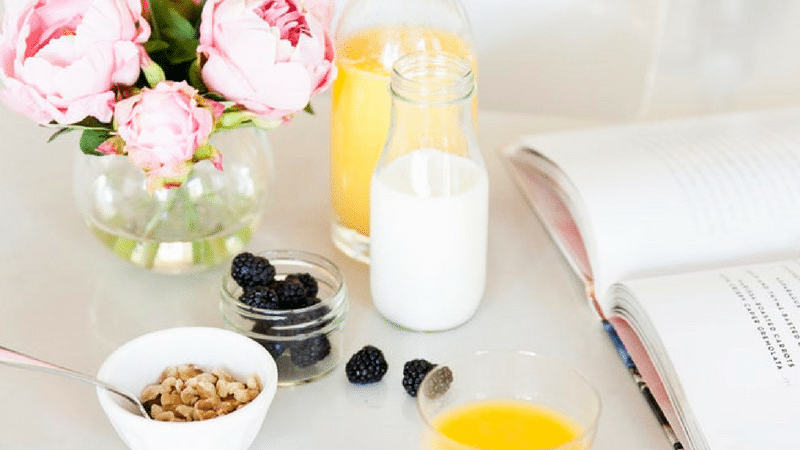 My Nut Milk recipe avoids all those unhealthy ingredients and tastes great! Plus it’s SUPER simple to make. You can choose whichever nut you’d like, but I tend to opt for almond because you can save the leftover almond powder after you strain it and boom – you have almond flour. Drain water from soaked nuts and place nuts into a blender. Add fresh water. Blend until smooth. Strain to remove pulp (optional). Do this using a Nut Milk bag for quick and easy preparation. If you strain, you may add pulp back into blender with additional water to blend again for additional milk. Store in refrigerator in a tightly closed glass container (Mason jar). Your nut milk will last 3 days. Any raw nuts may be used: almonds, Brazil nuts, hazelnuts, macadamia nuts, pecans, walnuts, etc. Raw pumpkin or sunflower seeds may be used in place of nuts for seed milk. Add vanilla for Vanilla Nut Milk. Add cinnamon, nutmeg or other desired spice for flavor. Add raw cacao powder for chocolate nut milk. Milk may be sweetened by blending with 1-2 dates or 1 tablespoon raw honey. 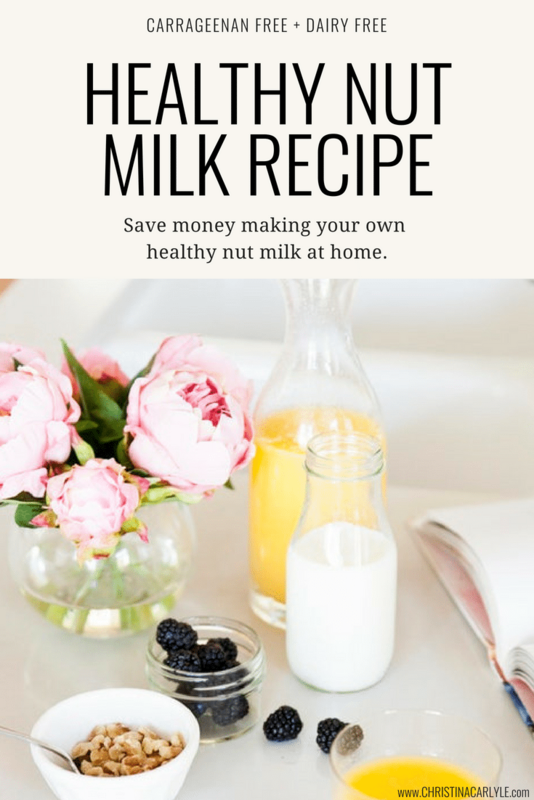 Leave me a comment to let me know how your Nut Milk turned out.